Try this Cleaner Risk Free and You Will Insist We Replace the Rest of Your Cleaners! 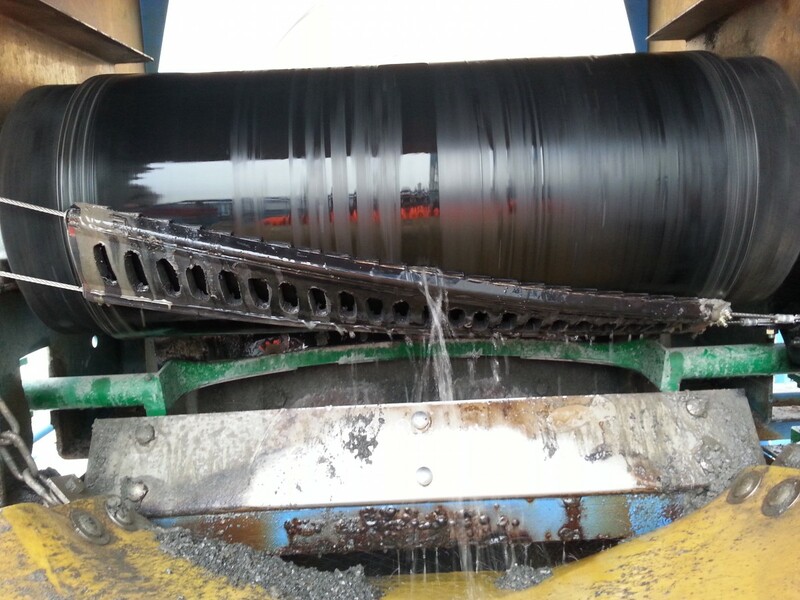 It’s a proven fact, when we install a CleanScrape® Cleaner at a plant they always want more. Try it risk-free, and you will too! Will last up to four times as long as traditional cleaner systems - Click here to find out how much longer it will last in your exact situation. Is easy to install with little ongoing maintenance needed, requiring only one tensioner adjustment - EVER! Offers the lowest blade-to-belt pressure of any cleaner on the market. Safe for use on even mechanically spliced belts, unlike other tungsten tipped pre-cleaners. You can put it anywhere! Installed at an angle, the CleanScrape® Cleaner requires very little space for installation. 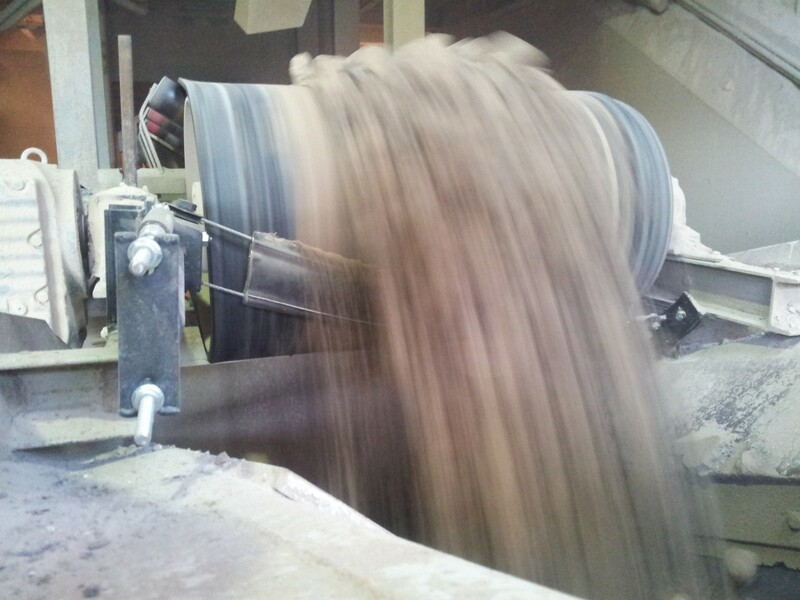 Works well with dry, wet or sticky materials, making it perfectly suited for aggregate, limestone, cement or coal. 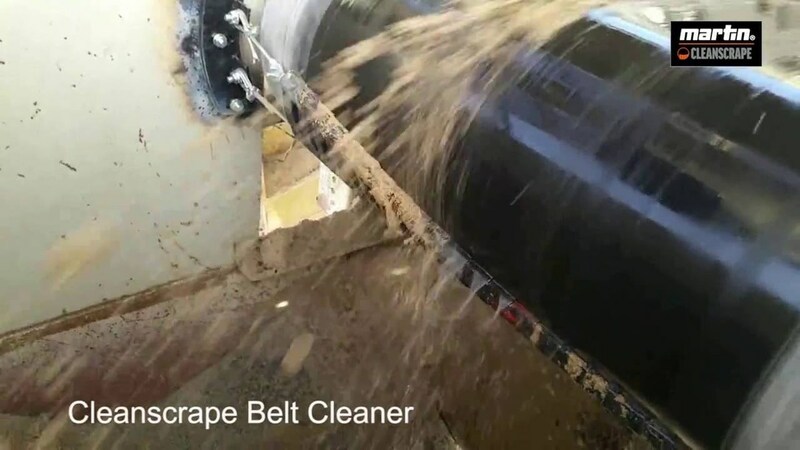 The CleanScrape® Cleaner is an innovative, durable metal-tipped belt cleaner that provides maximum cleaning efficiency without compromising your belt. You can use the CleanScrape® Cleaner with both mechanical and vulcanized splices because of its durable tungsten carbide tips, which are available in multiple grades of carbide to match your application. Ask us about trying it Risk-Free ASAP! If you don’t think it’s the best cleaner you’ve ever used, we will give you your money back. Period. Use our simple calculator to determine exactly how much you'll save after installing our CleanScrape® Cleaner on your equipment. 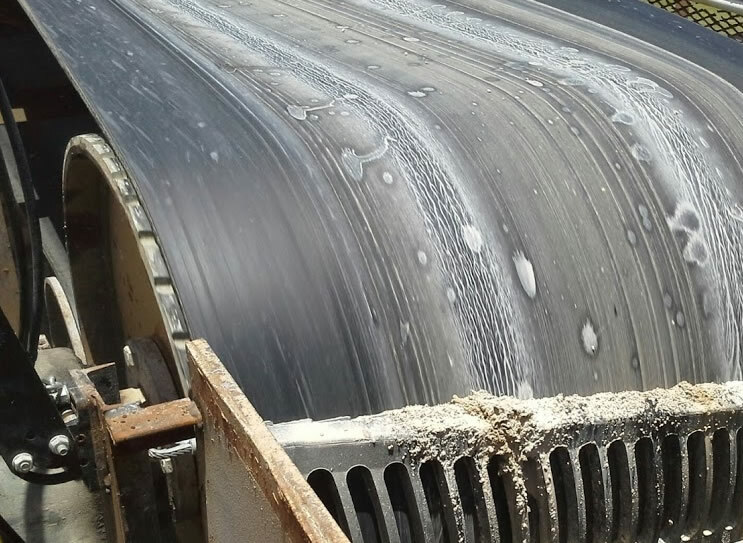 Interested in the industry’s best belt cleaning solution? We can help! 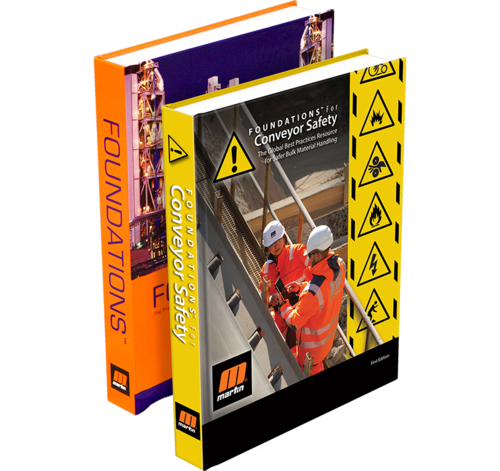 Get a quote based on your exact specifications. A coal-fired power plant was experiencing massive amounts of carryback on the belt conveyor, which runs 24/7. 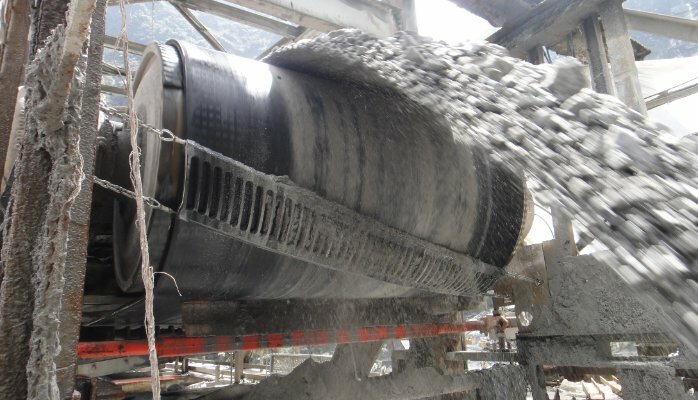 Bottom ash and water requiring constant cleanup, and the wet, abrasive material caused premature component wear and presented a potential hazard of slips and falls. 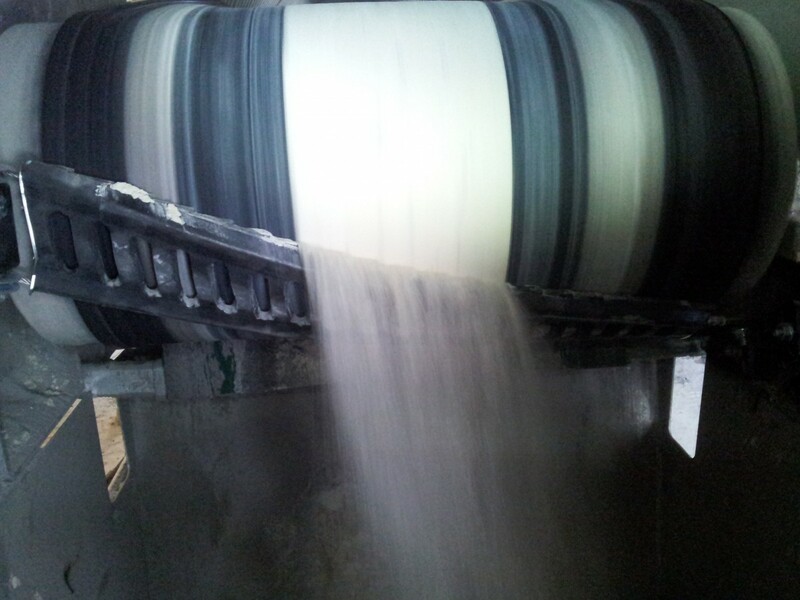 Standard belt cleaners lasted only days, and ceramic-reinforced models delivered just two weeks' service. A coal-fired power plant was having chute clogging and spillage issues. 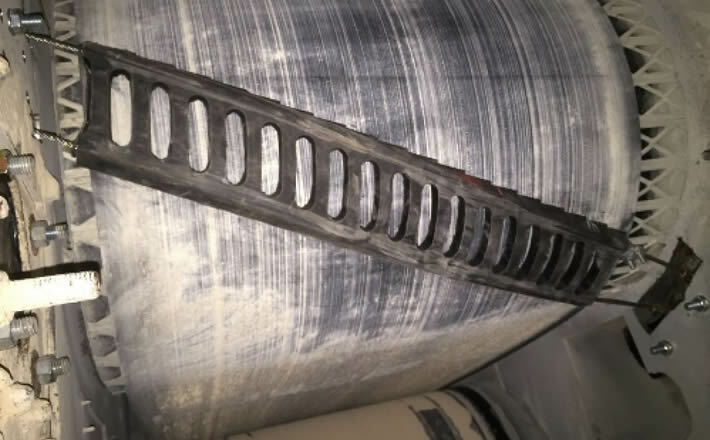 The existing primary and secondary cleaners allowed uneven discharge of material, which clung to chute walls and caused clogging, requiring periodic downtime for adjustment. The blade edges wore quickly, causing enough carryback and spillage to encapsulate the cleaners. 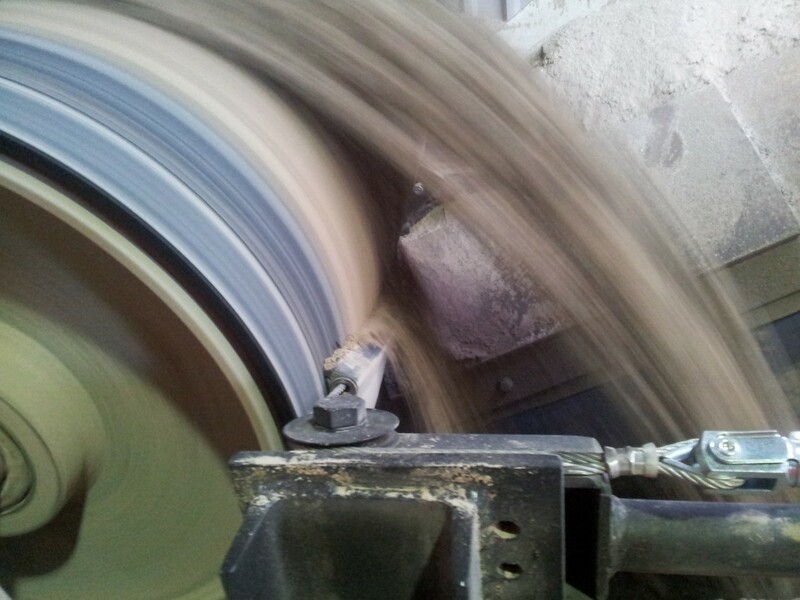 An aggregate facility handles 1.5 million tons of limestone per year. After experiencing excessive carryback on their existing conveyors, they wanted to make sure to address the issue when adding a new conveyor. The plant spent 16 to 24 hours per week cleaning up. 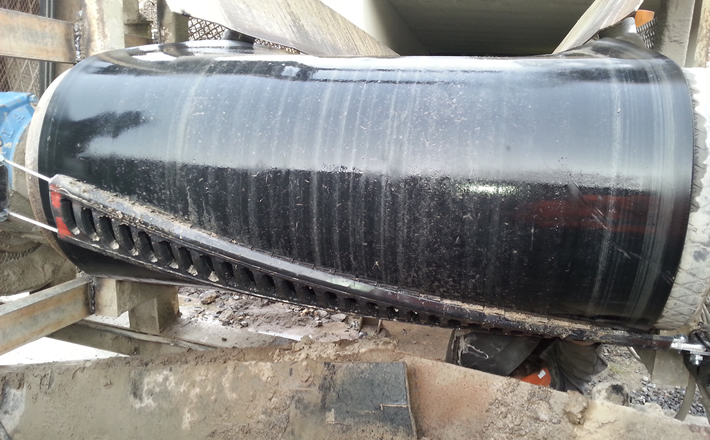 There was also excessive damage to the conveyors. 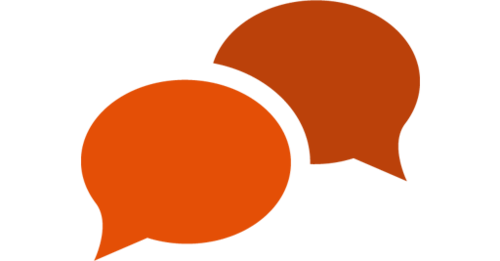 "We have employees of 30+ years of whom rave about these cleaners, saying they are the best thing seen at Ulan since they started!"